Everyone knows that regular exercise and weight training lead to physical strength. But how do we strengthen ourselves mentally for the truly tough times? And what should we do when we face these challenges? 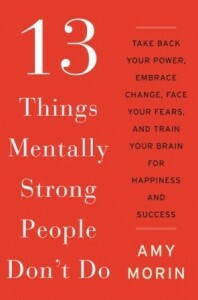 Or as psychotherapist Amy Morin asks, what should we avoid when we encounter adversity? Through her years counseling others and her own experiences navigating personal loss, Morin realized it is often the habits we cannot break that are holding us back from true success and happiness. Indulging in self-pity, agonizing over things beyond our control, obsessing over past events, resenting the achievements of others, or expecting immediate positive results holds us back. This list of things mentally strong people don’t do resonated so much with readers that when it was picked up by Forbes.com it received ten million views. Increasing your mental strength can change your entire attitude. It takes practice and hard work, but with Morin’s specific tips, exercises, and troubleshooting advice, it is possible to not only fortify your mental muscle but also drastically improve the quality of your life. 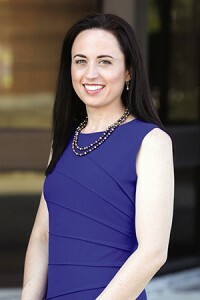 Amy Morin is a licensed clinical social worker, college psychology instructor, and psychotherapist. She is the only person in the psychology industry who is talking about mental strength on a global level. She lives in Enfield, Maine. Find out more about Amy at her website, and connect with her on Twitter and Facebook.